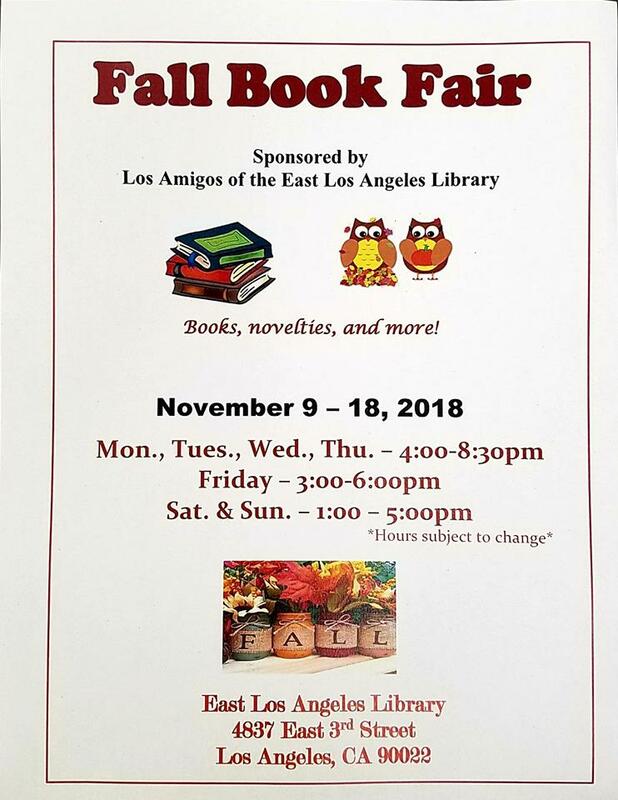 Stock up on chapter books for silent reading or pictures books to read at home with your child at East Los Angeles' library Used Book Sale & Boutique. Thousands of books, videos, DVDs, magazines, and audio books are available. 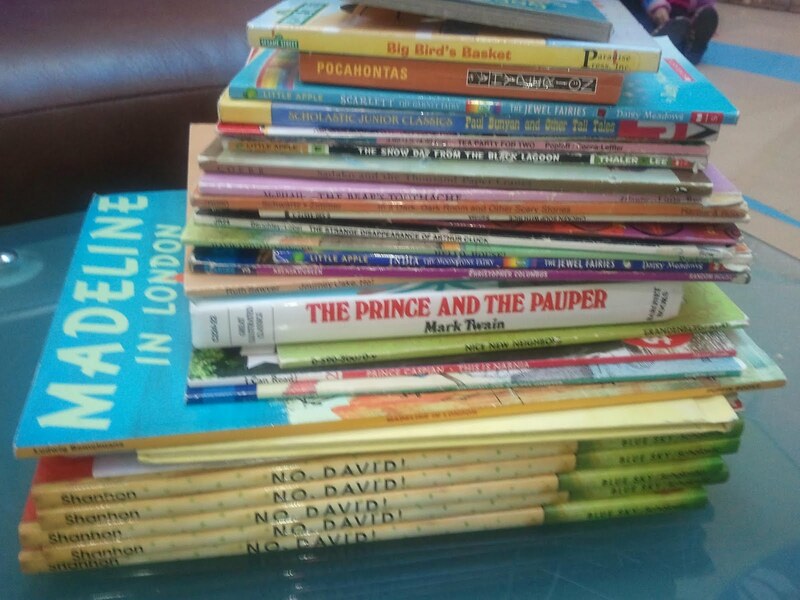 The items sold are library discards, or were donated by schools and private individuals. Most are in good/great condition and some are brand new! 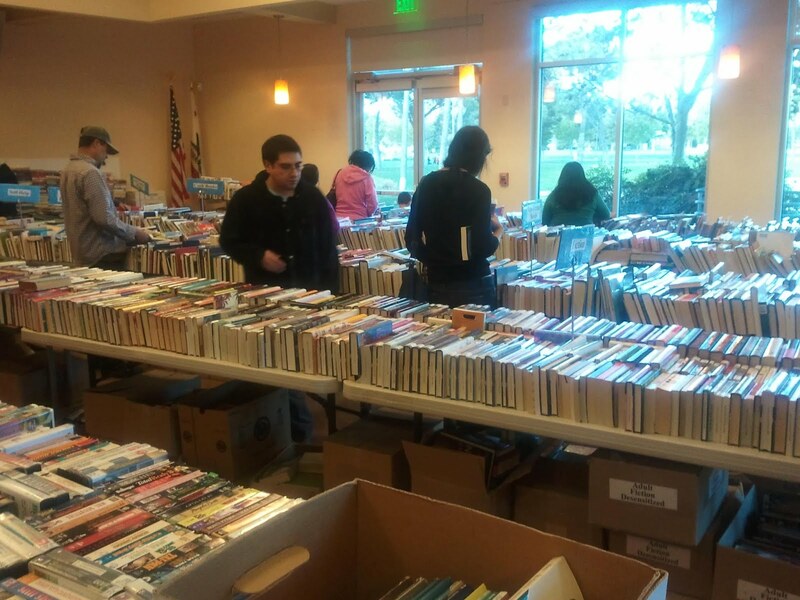 The community room filled with books for sale. The last sale had children's books start at 25 cents each. There are books for pre-schoolers though teenagers, and there are favorites such as Wimpy Kid, Harry Potter, Little House on the Prairie, Junie B. Jones, Beverly Cleary, American Girl, Goosebumps, Chose your own Adventure, Magic School Bus, Roald Dahl, and more! BONUS: Teachers, you get an additional discount! Just tell the cashier you are a teacher, they will probably guess when they see your huge pile of books, and they'll give you a huge discount. Once I was charged only 10 cents a book! I picked up all these books, 27 in total, for only $14.25! Retail value is over $100! Average price, 53 cents/book. Visit www.MontebelloPetFair.com for more information. 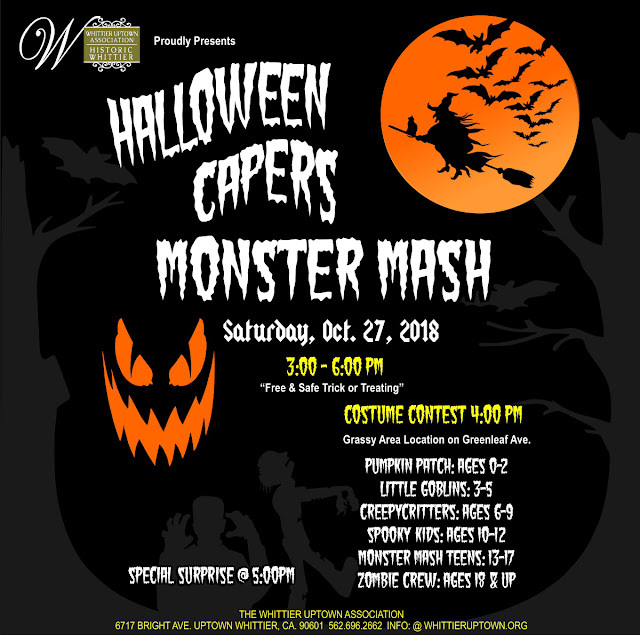 Visit https://whittieruptown.org/capers/ for more information. Visit PicoRiveraChamber.org/ for more information. "Celebrate life as you learn about death at our very first Sorrowful Soirée. People's relationship with death changed dramatically between the time that the Workman and Temple families lived at the Homestead. Come and learn more as you enjoy special tours and activities. We'll also celebrate some favorite seasonal traditions of the modern day that have rich histories of their own like trick-or-treating and making costumes. Join us for the 24th Annual Pumpkin Festival, a family-friendly community tradition hosted in Brookside Park, in front of Kidspace. Kids will giggle with delight at the petting zoo, pony rides, exciting bouncers, carnival games, and seasonal crafts. Partake in a costume parade, enjoy face painting, and select pumpkins from our pumpkin patch. Parents will love the costume sale, and tasty picnic treats. Entrance to the festival, parking, and live performances are free, tickets can be purchased to enjoy activities and food. All proceeds benefit Kidspace Children's Museum a 501(c)(3) nonprofit organization. 3:45pm - The Alana Banana Show"
Besides the Pumpkin Festival, Kidspace Children's Museum is a fantastic place for kids to explore! There is a huge outdoor area with lots of activities; I was there about a year ago and even my 14 year old had a great time running around and building things. Tickets are $14 for everyone 1 year old and up, but discounts are available: AAA card holders $12, Military $10, EBT card holders $3, all discounts are vaild for up to 4 guests. Click here for ticket pricing information. If you love Kidspace, and you will, consider purchasing a Family Membership and enjoy free admission every day. Prices range from $89 for a 3 month membership to $199 for a full year of fun. Click here for membership information. Take the kids for some early Halloween fun at the Shops at Montebello! a Disney Jr. PlayDate at Center Court! "Experience a frightful evening of ghoulish fun at this popular event. The fun begins with food, carnival type games, spooky arts & crafts, and activities the whole family can enjoy. Halloween bags will be provided for children to collect their Halloween treats (while supplies last). The popular Halloween costume contest gets underway at 5:00 p.m. in the following costume categories: Cutest, Scariest or Most Creative. Costume Contest is divided into seven age divisions: 2 years and under, 3-5 years old, 6-8 years old, 9-11 years old, 12-14 years old, 15-17 years old, and Adult & Family/Group. Admission is FREE with nominal fees for food and amusements." Click here for more inforamation. Discover what lurks beneath the waves at low tide as you walk across creviced rocks at the Point Fermin tide pools. Start at the aquarium auditorium for a preview of the marine life that may be found in the tidepools and tidepool etiquette, then venture out along the freshly exposed rock with a museum docent to guide the way. The event is free of charge and reservations are not required. My family attended a tidepool walk last year and we all had a great time! TIDEPOOL TIPS: Children must be supervised. You will be walking on wet craggy rocks and must be careful where you step. It is suggested that everyone wear sneakers or boots, and long pants (in case you fall, you will rip your pants, and not your skin). Parking at the aquarium is $1/hour. This event is worth the drive! "The Los Angeles County Department of Parks and Recreation invites young women ages 11-18 to a Girl Empowerment Conference at East Los Angeles College on Saturday, November 10, 2018 from 9 a.m. - 3 p.m. Girls will have the opportunity to network and attend informative workshops that will help them build their confidence and explore pathways to realize their dreams. 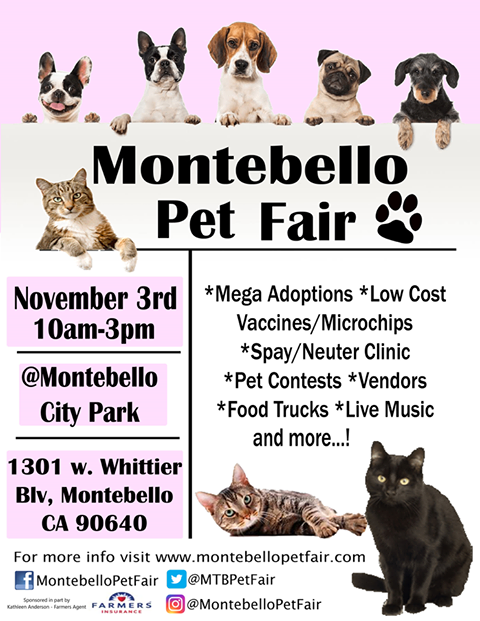 Please visit your local county park to sign up, or for more information, please call (323) 260-2360 or (661) 294-3508." The city of Monterey Park will host it's annual snow day at Barnes Park. The fun will include a tree lighting ceremony, sledding on "real" snow, photos with Santa, refreshments and live entertainment by local schools. Click here for more information. Note: Closed-toe shoes are required in the snow play area. I spoke with a Disney Store Cast Member and was told that the store will be celebrating all day, but a free gift will be given out to the first guests that visit the Disney Store on Saturday, November 18. The Cast Member said last year Guests received a pin, they have not been told what the free gift will be this year, but last year all the pins were distributed within the first hour of the store opening. The Disney Store will open at 10am on November 18. This event will occur at all regular retail Disney Stores, including the location at the Shops at Montebello. Take part in a Star Party every Wednesday night at Garvey Ranch Park Observatory in Monterey Park! The Los Angeles Astronomical Society hosts the weekly event and the website says, "The Garvey Ranch Observatory is open to the public every Wednesday evening from 7:00 PM to 10 PM. Go into the dome to use the 8 Inch Refractor or observe through one of our telescopes on the lawn. Visit our workshop to learn how you can build your own telescope, grind your own mirror, or sign up for our free seasonal astronomy classes." Stay all night or stop by for a quick glance through the telescope. I brought my kids in their pajamas after dinner. We only stayed about 10 minutes; it was a fun outing! LA County Museum of Art: Free Family Sunday Events! Free hands-on art activities for families most every Sunday at the Los Angeles County Museum of Art! Families can visit three art stations at their leisure and use a variety of supplies to create their own works of art. ﻿﻿All children 17 and under children can sign up for a free LACMA NexGen Membership. Each child will get a lanyard and membership card which serves as a ticket for the child and one adult to visit the museum anytime for free! This event is outdoors. Dress comfortably, you may have to kneel or sit on the grass or in the sun at some point.﻿ Try to arrive early, the stations tend to run out of the more popular crafts in the last hour. Every month features a different theme, so try to visit at least once a month. LACMA parking is $14, or you can try your luck at finding metered or free street parking. Look for a canopy with these happy people when you visit LACMA for the family art day. They will issue free NEXGEN passes to your children and give you passes that allow free access to the museum. After having fun at Andell Family Art Sunday, visit the LACMA exhibits! Metropolis II, a moving kinetic sculpture involving hundreds of hot wheel type cars. Create your own work of art in the Boone Children's Gallery. Bring in a new unwrapped toy valued at $5 or more and receive a free pancake breakfast as a thank you! Toys gathered will be distributed to children living with the city of Montebello. All food & seating is indoors! 25% off any membership + a free plush animal! Sign up for Family Membership or higher and take an additional $5 off! Sign on for Family Deluxe Membership or higher and you'll also receive a free tote bag! The discount code is 11803MMW . This code can only be used online and must be manually typed in, do not cut & paste. 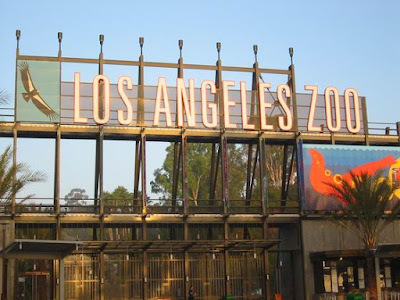 Thanks to the Los Angeles Zoo for the discount!